Being able to get a step ahead is one of the hardest challenges that any business, blog, product or service can face. There are many strategies that a business can use to achieve this; however, the most common and effective way is by setting up a website. With this strategy, a business can bridge the gap between suppliers and consumers faster and with a wider scope. A blogger can reach his or her reader anytime possible. A product can be delivered in any place. In addition, after sales services can be provided to customers who had just purchased a product. Now, as setting up a website is not a guaranteed success all the time, the business can minimize the risk of failing by choosing the right web design company or web designer. If possible, check out each and every portfolio of designers working in the web design company. Designers are always proud of their work and would always be eager to let you see their work as well as what other clients have to say about them. Client reviews serve as testament to the company’s business ethics as well as their previous projects. Checking out their previous projects will also give you an idea if their style meets your needs, as there is no point of working with a company whose style doesn’t complement your business. A good web design company is one that is easy to get in touch with. This gives an extra ounce of assurance that it is legitimate and is worthy of your time, effort and resources. Having good communication lines also assure that ideas are understood; thus, minimizing errors or time-consuming revisions. An exceptional company needs to have email addresses that are reliable, telephone numbers (for local web designers), and accounts in various social media networks with available customer support representatives to handle issues as soon as possible. A unique selling proposition is what sets apart a good business from the better ones. The right web design company needs to know what sets it apart from other web designers. Quality service is not an acceptable answer as web design talks about the aesthetics and functions of its output. This also brings out a company’s expertise and gives a customer an overview on how a web designer can work. 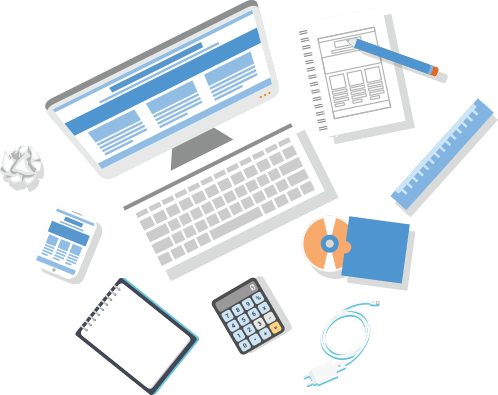 An ideal web design company offers the best possible price for its work. Customers need to consider as well that the function and the looks of a web design also have a price. The more the function and the harder to complete a web design the higher the price. A simple web design that is complete with all the basic functions needed for its purpose starts at $2,000.00 and can go up to $10,000. A professional company can tell a customer how much it will take to finish a web design based on the client’s needs and preferences. Choose a company, which makes sure that a client’s idea of what the design should be is carried out the best way possible. This means, if a customer has a marketing strategy in mind and wants it to reflect in the web design, the company can make it possible. A web design company that also takes care of its clients by anticipating future needs is a good find. A web design needs to have maintenance and alterations. The clients should be able to do this flawlessly and easily by themselves. If a web design company proactively offers more than what is stated above, you have the assurance that the company knows what it is doing. Having a second opinion from friends or other people can also help. Being sure on what you are doing is not a bad idea. Taking a suggestion from someone who also has a technical background gives you a better idea on how to visualize the design of your website. The right web design company should have a superb reputation, not just for styles and designs, but also exceptional customer service and business ethics. So if you know someone with a technical background, that person would be able to recognize if a web design company is worth your time and money. The first step in choosing the best web design company for your needs starts with deciding how your website should look like. There are many reliable web design companies out there; however, choosing the right company takes commitment and patience as well. Following these steps can help, but nothing can replace matching your needs with a company that can provide your specifications in a price that you can afford.